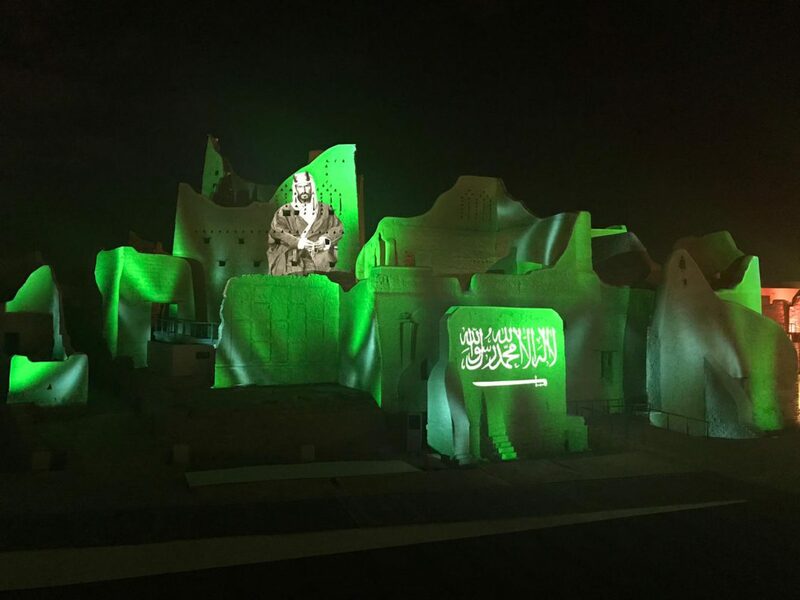 Filmmaster decided to relay on Visual Solutions for the technical video management of this challenging project in Diriyah, with Royal attendance. 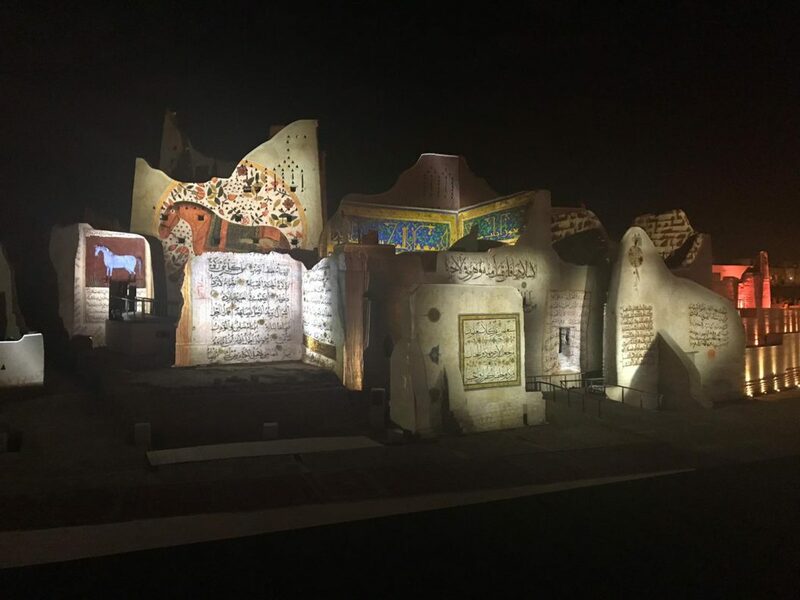 The ruins of the old city of Diriyah lay on either side of the narrow valley known as Wadi Hanifa, which continues southwards through Riyadh and beyond. Consisting almost entirely of mud-brick structures, the ruins are divided into three districts, Of the three, Turaif is the highest, and its bottom is easily accessible to tourists by foot. Part of the city wall, running along the edges of the wadi and also made of mud-bricks, are still extant along with some short observation towers. 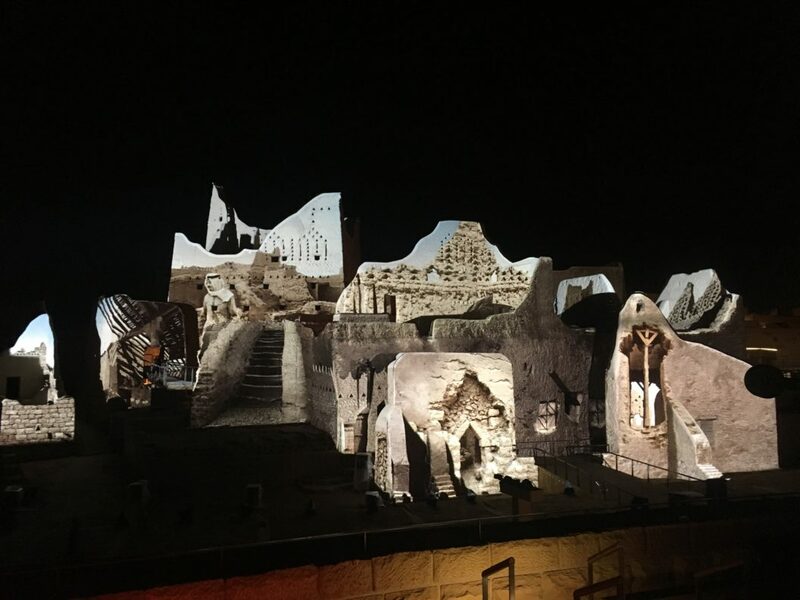 The outer city wall was our canvas to do a huge projection mapping telling the history of the site! We had an audience sitting 180 degrees in front of the walls, so we had to make sure the entire wall elements were covered, behind, above beneath each other. So we had to shoot from multiple angles to fill in all gaps and shadows. Another eye-catcher was the 20x5m “pepperscrim” from Showtex Middle East. This fantastic and highly transparant screen was made especially for holographic use. 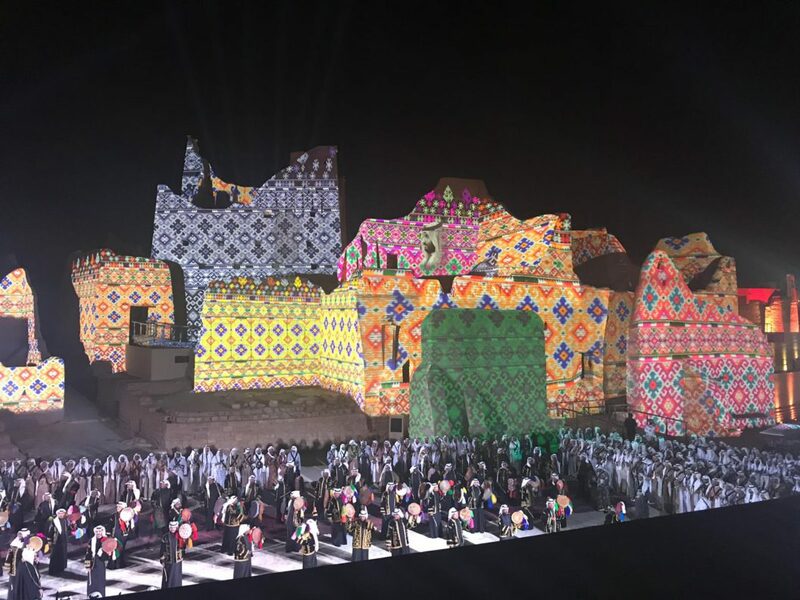 With the use of 3 x Barco UDX projectors with the periscopic Ultra Short Throw lens, it was joy and an absolute easy installation and alignment. 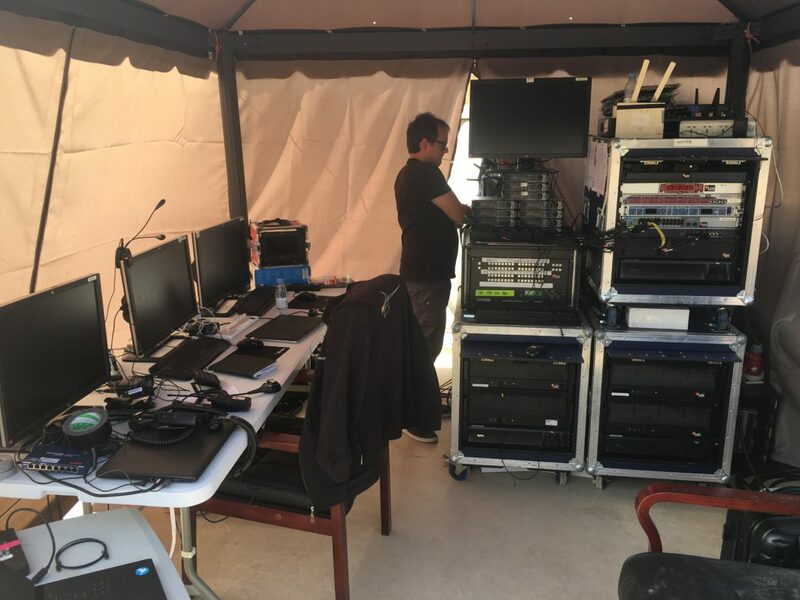 We flew in 4 d3 4×4 VFC server, 21x Barco UDX 4k laser projectors to drive all elements. – Visualisation of the screens with content in d3, exact lens calculations and footprints of the projectors casting shadows etc,…. 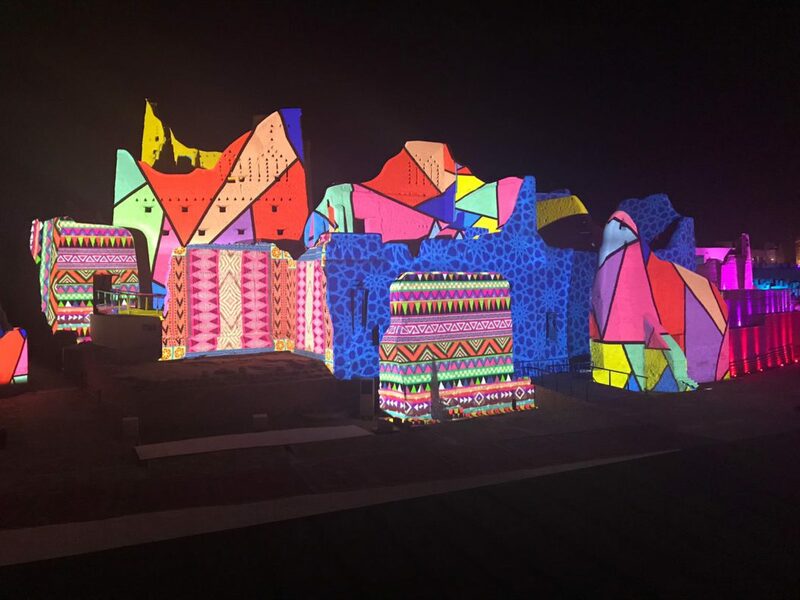 – show rehearsals, while other people of the team were doing projector alignment. All projector alignment and content programming was done by 3 persons from 3 different machines- all working as one- , using the d3 editor functionality.